Tadpoles are herbivorous. They will become carnivorous after the internal organ and mouth are fully developed in the metamorphosis. The biologists believe that the fossil of tadpoles do not exist because their body consist of soft structure. However, they find out that the tadpoles were dated back in the Miocene by checking the preserved traces of biofilms of tadpoles. Tadpoles are not only animals. They are important in the culture and life of the people. Do you know that ancient Egyptian numerals use tadpole as a symbol. A number of folk tales also mention tadpoles. The people who live in some parts of the world also eat tadpoles as their food. It is not hard to define tadpole. The simple one is defining tadpole as a young amphibian. Facts about Tadpoles 5: where can you find tadpoles? You can find tadpoles living in the water. The terrestrial ones include Adenomera andreae and Indirana semipalmata. The semi terrestrial ones are Thoropa miliaris and Indirana beddomii. The arms and legs are absent in most tadpoles. 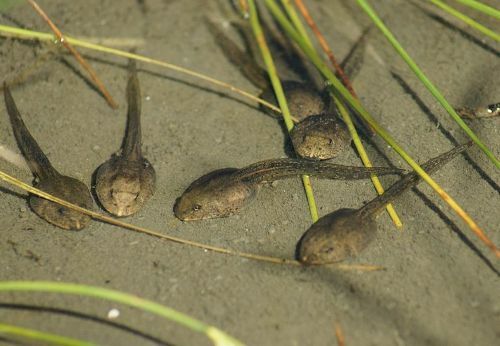 The legs and arms usually appear when the tadpoles are transitioned into the adulthood. Plants and algae are the common foods eaten by most tadpoles. Some species of tadpoles are omnivorous. They may eat smaller tadpoles and detritus. The size of tadpoles is determined according to the species. 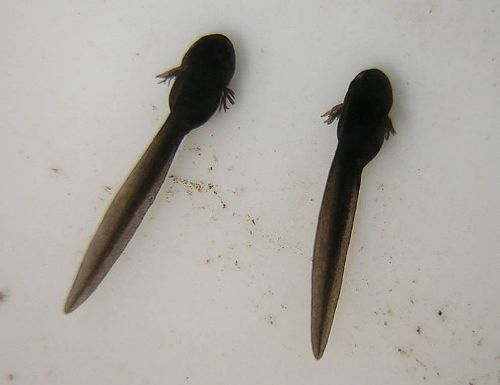 The late stage tadpoles have the length around 1.3 inches to 4.2 inches. The longer one is found on the tadpoles of Pseudis paradoxa. It has the length of 9.8 inches. As I have stated before, tadpoles are also conducted by some people in the world. The Chinese people collect the tadpoles of Oreolalax rhodostigmatus. It has the length of 3.9 inches. The people in Peru consume tadpoles of Telmatobius mayoloi for medicine and food. Clinotarsus curtipes is more popular in India. The symbol of tadpole was used to show the value of 100,000 in ancient Egyptian numeral. Do you like reading facts about tadpoles? Share the post "10 Facts about Tadpoles"